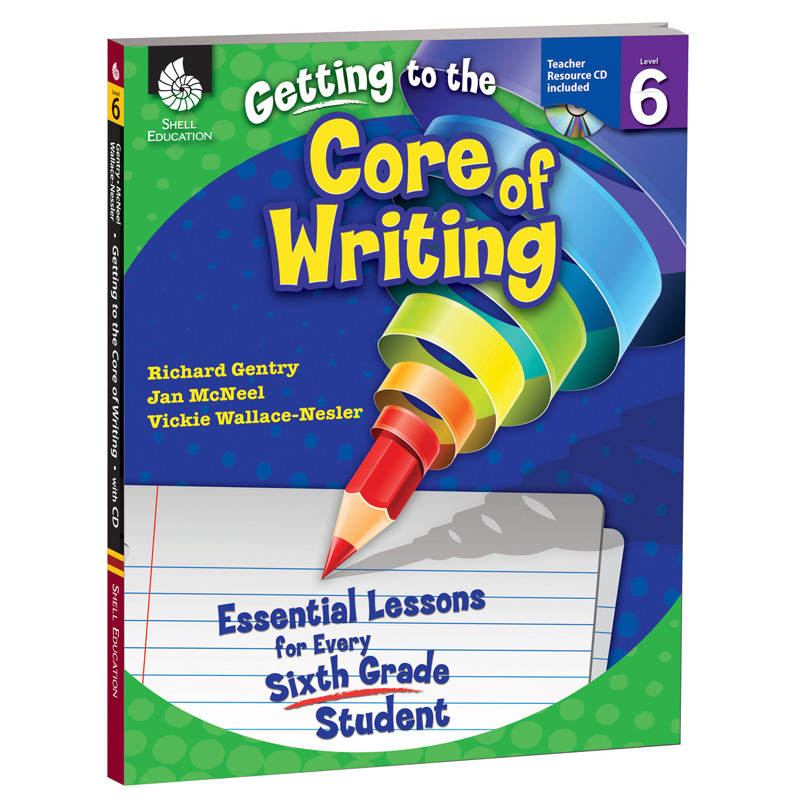 This resource helps teachers to incorporate writing instruction in the 6th grade classroom as an essential element of literacy development while implementing best practices. As a classroom-tested resource, Getting to the Core of Writing shows positive results in students' writing and simplifies the planning of writing instruction. It assists teachers in becoming familiar with the Common Core State Standards of Writing and provides resources to support the implementation of these standards. It features a Teacher Resource CD and contains information on how to establish a daily writing workshop that includes consistent, structured instruction to engage students in the writing process. This resource was developed with Common Core State Standards as its foundation and is aligned to the interdisciplinary themes from the Partnership for 21st Century Skills.